Manhattan Beach is known as "The Pearl of L.A.'s South Bay" and was immortalized in the Beach Boys classic, "Surfin' U.S.A." Take a gander at the impressive beachfront real estate as you walk, run, bike, rollerblade or skateboard on The Strand, a fantastic place to people-watch as well. Downtown Manhattan Beach is a culinary force and a must for foodies, with great seafood shacks, gastropubs and fine dining options. The low-key Manhattan Beach Pier features a small aquarium and views of surfers. 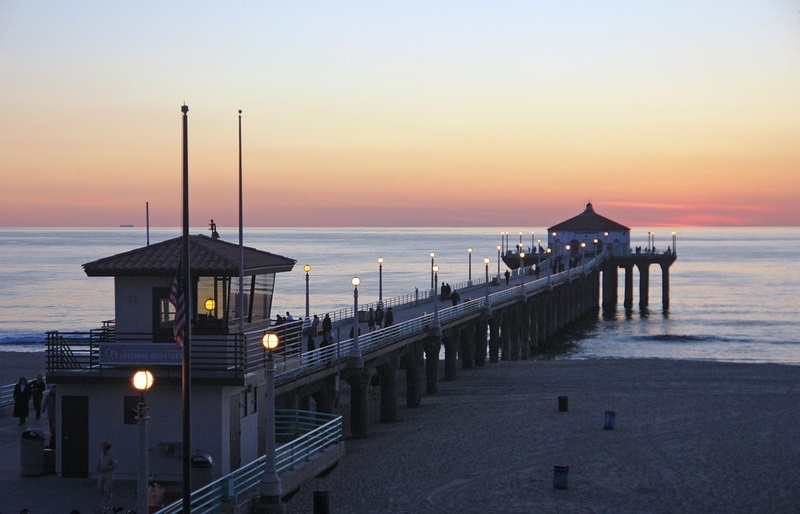 Manhattan Beach covers 3.88 square miles and is located 3 miles south of Los Angeles International Airport (LAX). There are 48 acres of major park land in Manhattan Beach, in addition to the 21 acre Manhattan Beach Parkway with a 2.1 miles of beach front. Population according to 2010 census is 35,135. Manhattan Beach, California, gets 13 inches of rain per year. The US average is 39. Snowfall is 0 inches. The average US city gets 26 inches of snow per year. The number of days with any measurable precipitation is 21. On average, there are 286 sunny days per year in Manhattan Beach, California. The July high is around 74 degrees. The January low is 50. The school district consists of 1 preschool, 5 elementary schools, 1 middle school and 1 high school. **Websites referenced for provided information: www.citymb.info, www.manhattanbeachchamber.com, www.mbusd.org, en.wikipedia.org, www.bestplaces.net.